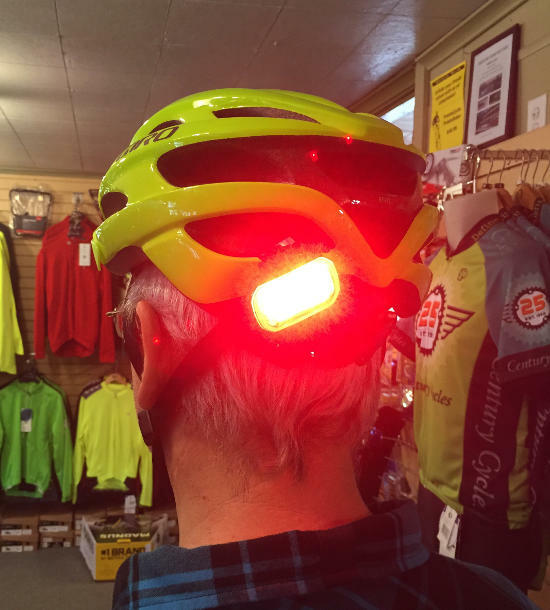 Century Cycles Blog: Blackburn Click USB Taillight -- works great on your helmet! Blackburn Click USB Taillight -- works great on your helmet! Last winter, I was looking for a light that would be practical to put on the back of my bicycle helmet, to give me a little extra visibility by drivers coming from behind. I use the Planet Bike Superflash USB Taillight, attached to my Topeak MTX Explorer Tubular rear cargo rack using the Planet Bike Rear Taillight Bracket. 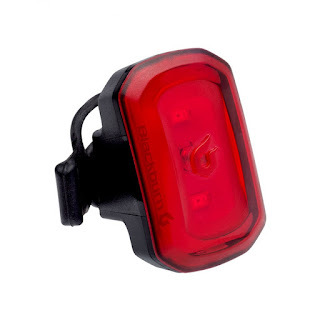 You can attach most taillights to a helmet using a basic zip tie cable, but then removing it for recharging or replacing the batteries becomes a hassle. As it turns out, that angle also makes it ideal for attaching to the back edge of a bike helmet! 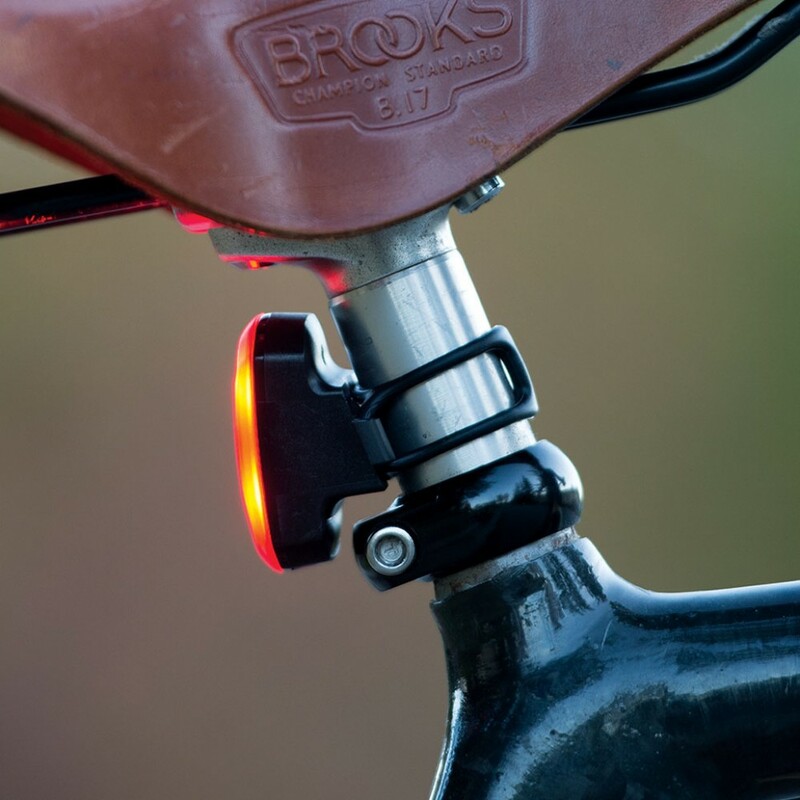 The light has a stretchy rubber strap that makes it easy to attach and remove as needed. It also includes a micro-USB charging cable. 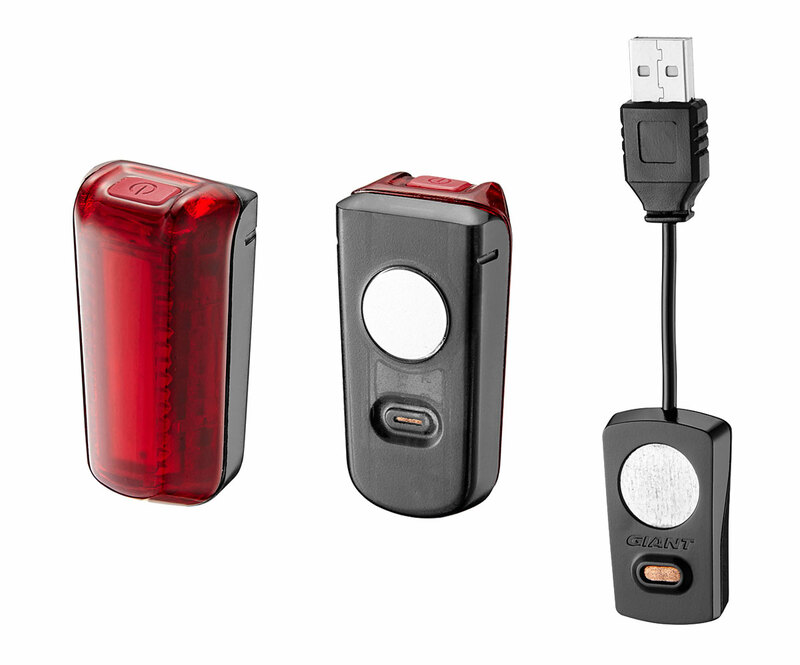 You get a 20-lumen light that burns for 3 hours on a charge (in flashing mode), or 1.5 hours (in steady mode), and recharges in 3 hours! 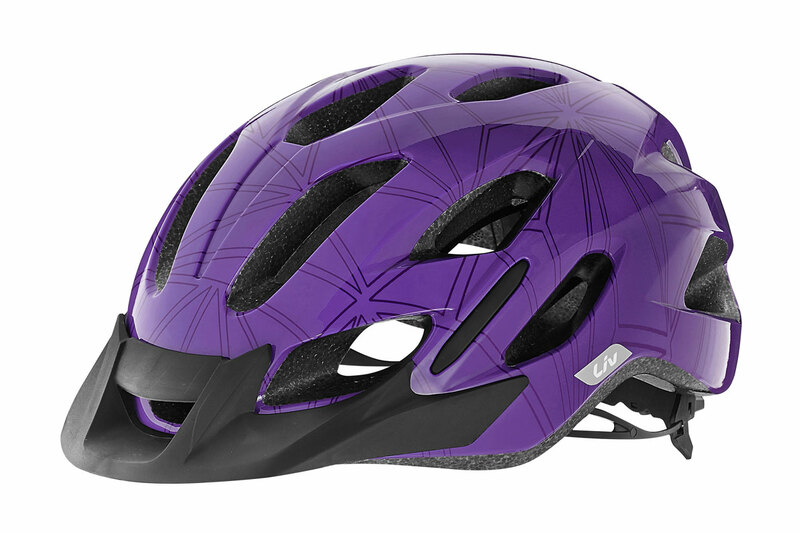 Buy online, or at all three Century Cycles stores! 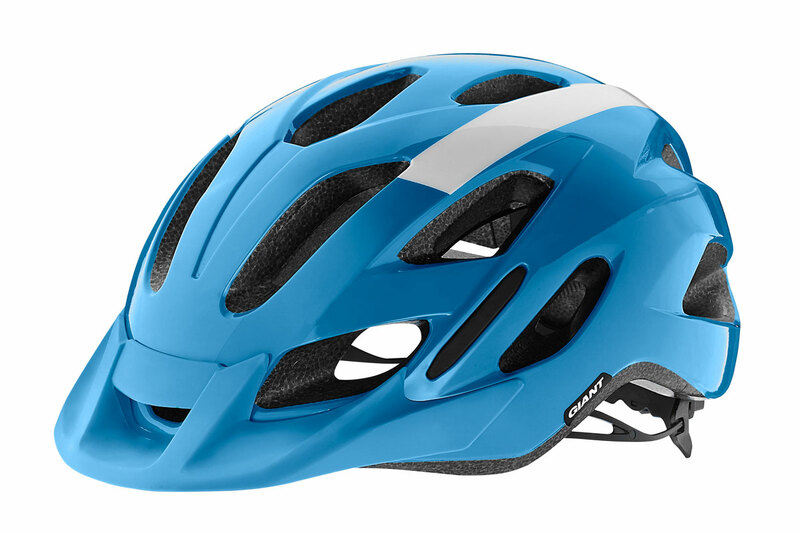 If you'd like a slicker, more integrated solution to the helmet+taillight problem, the Compel and Roost helmets from Giant Bicycles, and the Luta and Lanza helmets from Liv Cycling all have a magnetic port in the rear, which fits the Giant Numen+Link USB Tailight! All also in stock in our stores!